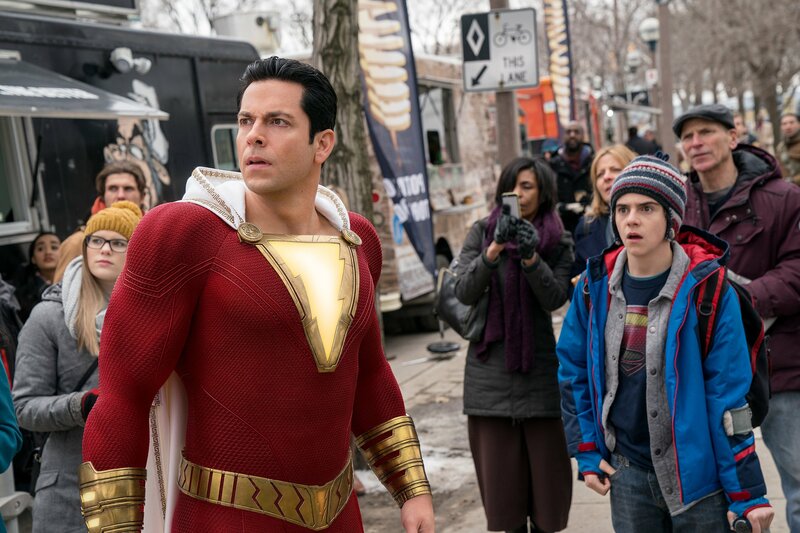 Actor Zachary Levi showed that humor can be just as powerful as Aquaman Jason Momoa’s pecs with Shazam, which soared to a $57 million domestic opening and kicked in an additional $100 million globally. Levi, who’s known to many gamers as Chuck Bartowski from the hit NBC series, Chuck, didn’t just play a gaming geek on TV. He’s a self-professed gamer who still logs hours playing the latest releases. 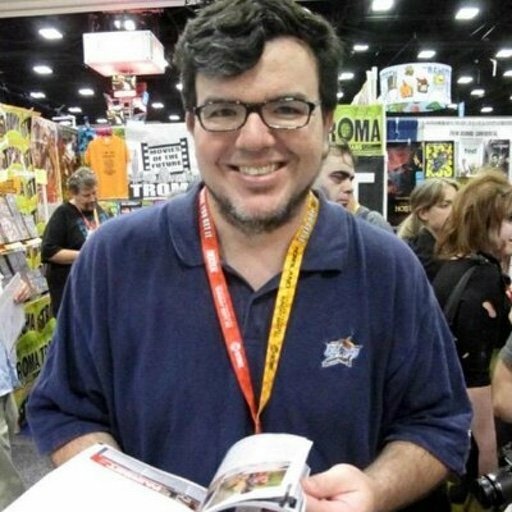 He’s also been active in the video game voice acting business, having worked on games like Halo 4, Fallout: New Vegas, Tangled and Kingdom Hearts 3. He also played Ace in Video Game High School. Shazam and 14-year-old Billy Batson have just been added to LEGO DC Super Villains game via a pair of DLC offerings from Warner Bros. Interactive Entertainment, which add characters from the movie as well as a new level. We caught up with Levi, who also played Fandral in Marvel’s Thor: The Dark World and Thor: Ragnarok movies, to geek out over comic books, superheroes and video games in this exclusive interview. Having worked in both the Marvel and DC universes on the film side after reading both comic brands as a kid, do you have a favorite? Do I have a favorite? DC. I know where my bread is buttered, my friend. No, look honestly these movies are so much fun and I’m grateful that I get to live in a time where special effects have gotten good enough to make a really awesome superhero movie, bringing all these characters I grew up with to live in very cool ways. From a production standpoint, I don't know that there’s really any big difference because making a big movie is making a big movie. It requires a big crew and a lot of time and a lot of money. But to make a great movie it requires all of those people to step up and be really excellent and have a great script, and we had that. We had all that in spades, and it’s very cool. None of it has really sunk in to, be honest. Like I know that I’m here talking to you right now and we’re doing press for the movie, but it all still seems a little surreal, and quite honestly, I hope it always does. I don’t ever want this to feel commonplace. I want this to always be a little bit of a dream, and it is. I’m sure San Diego Comic-Con takes on a whole new role for you to be able to come in and be a superhero, right? Oh, yeah, man. This last Comic-Con was the twelfth I had done in a row. The first one I did I came promoting Chuck, the nerdy big box store employee. And twelve years later I was coming out onto the stage at Hall H to 5,000 people and I’m a bonafide DC superhero. And that whole journey is just surreal, man. I am so grateful that I’m still employed. That I still get to do what I love to do, and then I get to do it on this level. It’s super cool. We’ve seen Shazam in the past in the video game space with Injustice, but do you see other gaming opportunities should this movie take off? Oh absolutely. I mean, I certainly hope so. As a gamer myself, I would love for him to be in any and all of the DC Universe gaming situations, not just because I want to play with myself. That’s a whole other thing! (Laughs) But honestly, it’s something where if there’s a game I’d want to get to do the voice. If I don’t get to do the voice, then I don’t know that I’ll enjoy that nearly as much. 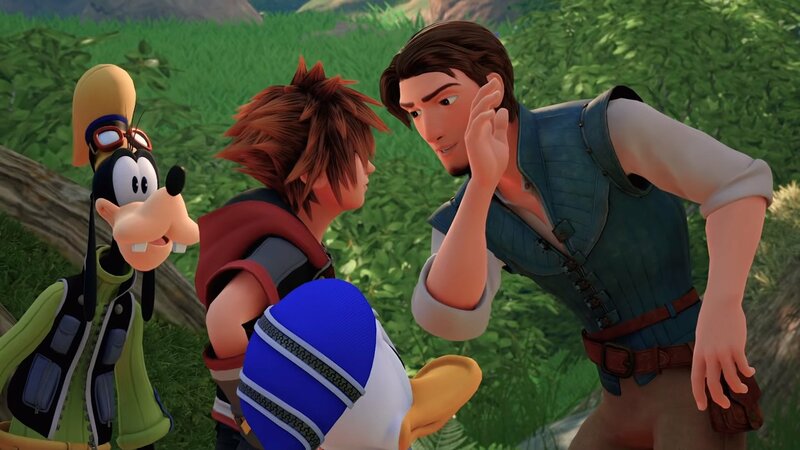 Gamers can hear your voice in Kingdom Hearts III as Flynn Rider right now. Yeah, it’s so cool. I’m glad I got to do that. When it comes to Shazam, what opportunities do you see in a perfect world for Justice League or other big screen cameos? Yes. Any and all of whatever they ask me to do I will be so happy to do. I grew up reading comic books and one of the things I loved so much about the comics was crossovers. That’s what obviously we’re seeing people really enjoying when one character is in another character’s movie. That’s just fun and it also allows you to introduce characters to other audiences. Somebody might not know Shazam but they know Wonder Woman. “Oh, we’ll we’re going to go to Wonder Woman and then there’s a cameo by that Shazam character and maybe you can win them over and then they’ll want to go check out his movies. That’s what happened with me with comics. I would read one character’s comic book and be introduced to another character that I didn’t collect their comic books, and if I thought it was cool I’d check them out. I really hope DC makes more Justice Leagues and I hope that Shazam gets to be a part of them, just to be some fun comic relief amongst all those badass superheroes. Because I’m the 14-year-old, that would be super fun. Speaking of DC, there’s now the DC Universe Online subscription service filled with digital comics and more original shows. What are your thoughts about the role that all this stuff is playing in the comic book space? And is this something you wished you had when you were a 14-year-old? Oh, yeah. Absolutely. Look, it’s a double-edged sword. Like technology is so insane and incredible now that we have streaming services and we can watch content in all kinds of places and that would have been really awesome to have all those options as a kid. However, along with all of this technology, our attention spans have dwindled to nothing, and we have social media that makes us all feel horrible about ourselves. So I don’t know that I would have loved to have lived in this social media world. I mean, it’s hard enough as an adult. I don’t know what kids in middle school do. I feel really bad for them. It’s a really difficult thing to not constantly be looking at everybody else’s lives and thinking that you’re failing at your own. That leads to a lot of the mental health problems that are going on. The most recent Black Mirror: Bandersnatch introduced interactive storytelling. Does Shazam incorporate social media, video games, mobile devices and those types of things into this world? Yeah, a little bit. I mean it’s a very real take on today for sure. I don’t know how much we harp on the effect of social media necessarily, YouTube, cell phones, video games, it’s all there. It’s a bonafide 2019 movie.